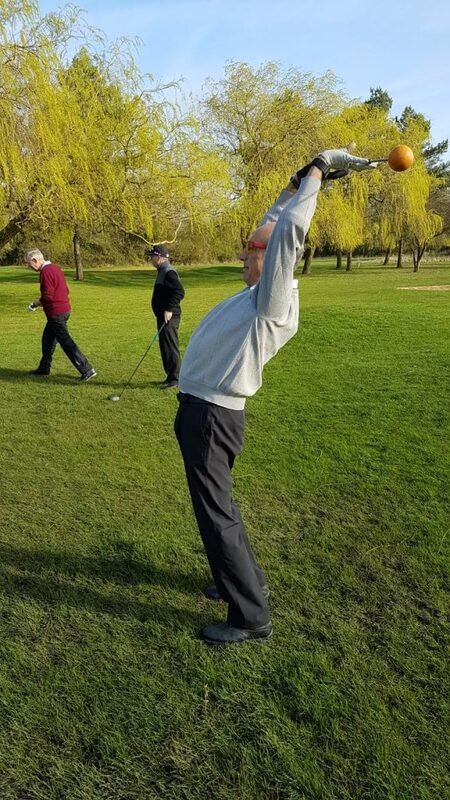 We are pleased to have started yet another Seniors Golf Season with a visit to Stapleford Abbotts on Thursday 21 March. 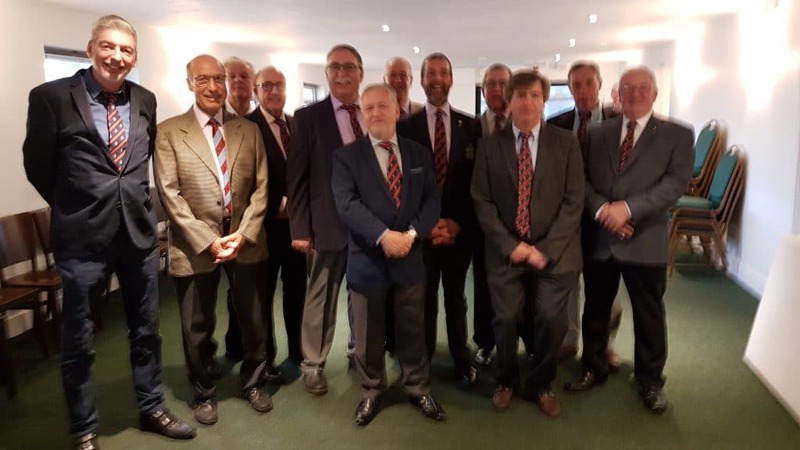 Despite having what we felt was a powerful team the result didn’t quite live up to our expectations, and as our Captain for the day, Roger, stated in his speech, we are still a ‘work in progress’. Bit like the redevelopment of Abridge which we are sure will bring a much better result than we achieved. We sincerely hope that this season brings further tales of gallantry in battle against tremendous odds, while fighting for Abridges’ good name around the area. 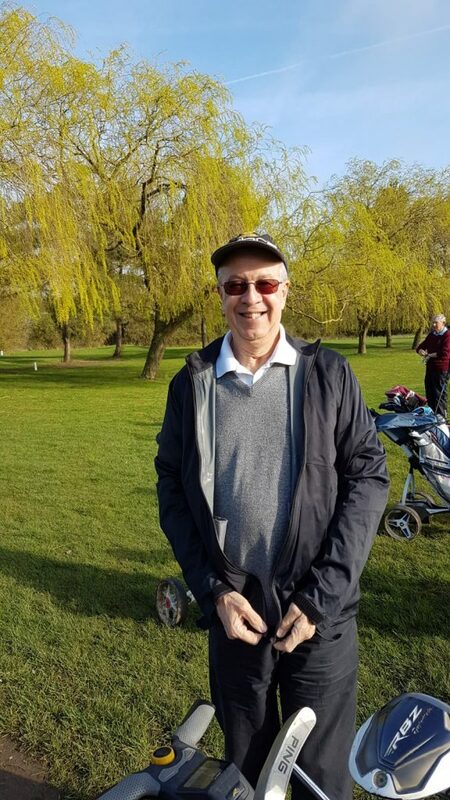 We are very happy to confirm that our match at Stapleford Abbotts did not start like last year, with our Seniors colleague severely injuring his finger while putting up his trolley. Despite the medical ministrations of Vince Allen, who produced Black Duck Tape to staunch the blood flow in ‘VEIN’. In true tradition though, Barry played stoically in his match. As usual we can’t remember whether he won or lost, but as all losers say, ‘it is the taking part which matters, not the result’. Unfortunately we will never get a repeat of Menashy Cohen heroically flying in from India, with his trolley battery in his luggage, and explaining why to the Indian Customs Authorities. 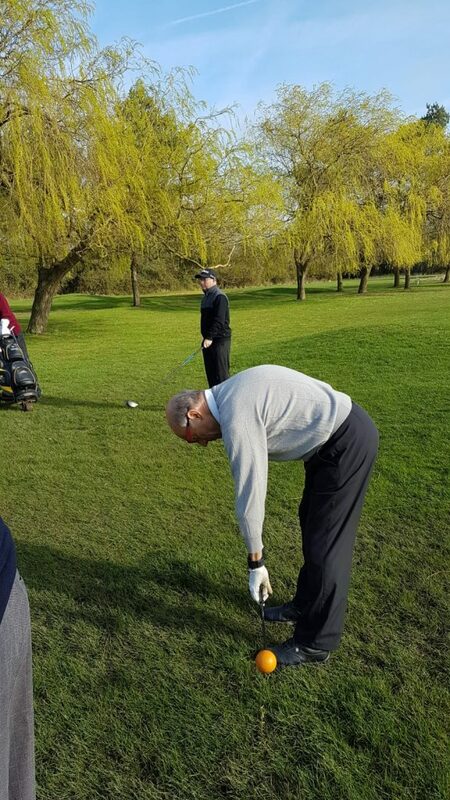 Despite this he came straight to the course, to play in an away match at Potters Bar. In pouring rain he played so well that we won the match well before the end of the 18 holes, and were fortunate enough to be able to walk in saving us from further drowning. This will never happen again because, not long after our teams’ heroics, Potters Bar sadly closed down, so there will be no repeat this year. Despite this, our hero’s efforts will never be forgotten. We have not yet replaced Potters Bar on our schedule, so there will be two less games this season, unless we can find another venue suitable to us all. This clearly does not mean the most difficult course we can find, and, in fact the easier the better would be great. It seems to us that every match is just a fun day, particularly as we never note down the results. Even if we had written them down we probably would have lost them by now, and we certainly can’t remember them. So we welcome our regulars and new participants to take part by either informing Barry or putting their names on the list in the changing room, presuming that you can still find the changing room? 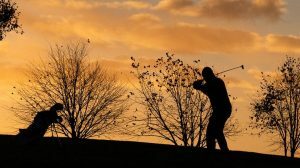 We also look forward to guests enjoying our new clubhouse and playing on our excellent golf course.